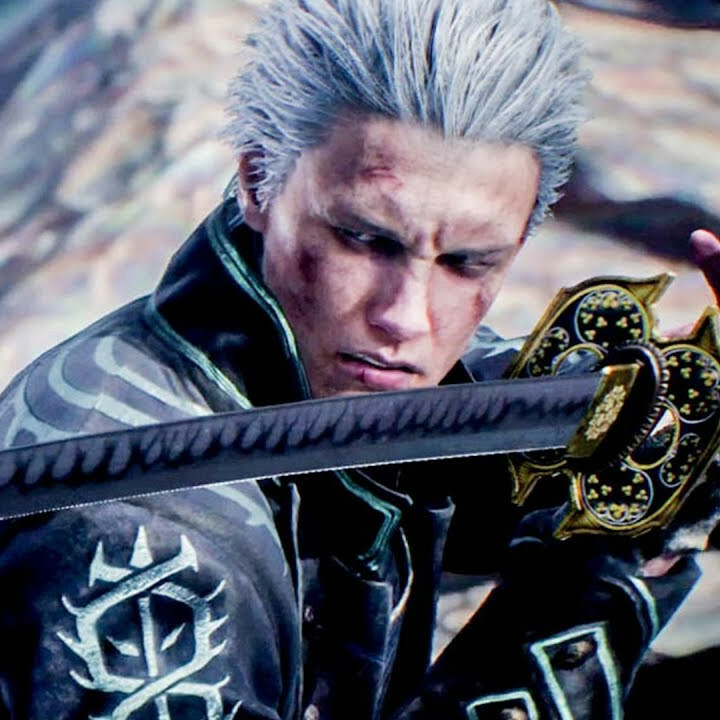 Rate this article "Devil May Cry 5"
Devil May Cry 5 is a third person hack-and-slash game developed by CAPCOM Japan. It's the 5th and the latest installment of the series. The game took place in Red Grave City, a city filled with demons. The Legendary Demon Hunter Dante is back with Nero to stop this demonic invasion and demolish this evil race once and for all. It was released on 8th March 2019 and it's now available worldwide for PC, PS4 and XBOX ONE. Devil May Cry 5 is directed by Hideaki Itsuno and produced by Matt Walker. The development of this game was first started back in 2014, a year before the release of Devil May Cry 4 Special Edition. But the whole team was formed in 2015 and started developing the game at full sail. The team was working their very best to bring something that could be memorable. So they started doing something that they had never done before such as using Face Scan and 3Lateral. They actually brought real-life models to scan their full body and capture their facial expressions with 3Lateral. Not only the characters, but the team also traveled to various parts of London in order to create their fictional Red Grave City. According to Matt Walker, it's the first time they have ever done something like that for a Devil May Cry game. The game is powered by RE Engine. The story of Devil May Cry 5 takes place several years after the events of Devil May Cry 4. Young Devil Hunter Nero now have his own devil-hunting business. Like Dante, he also have a sidekick named Nico. Nero loses his Devil Bringer at the beginning of the game. A month later this event, the world seemingly falls into chaos. The roots of the Demon Tree are growing out of the ground, spawning hordes of demons and devouring any nearby human. 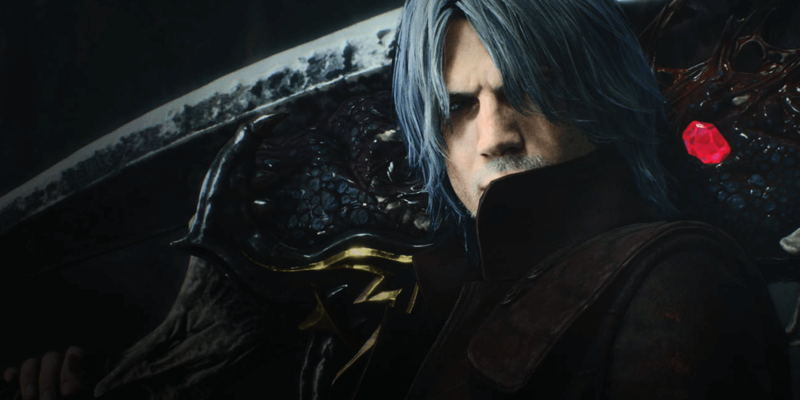 Around the same time, a mysterious man named V is looking to hire the Legendary Devil Hunter Dante to help him defeat the new Demon King Urizen. Together Dante, Nero, Trish, Lady and V team up in the hopes of taking down Urizen. But unfortunately, their battle with the Demon King didn't go well. Urizen is so powerful that he doesn't even move from his throne. Dante broke his Rebellion during the fight against Urizen. Lady and Trish were badly knocked out. Nero was trying to fight, but he wasn't strong enough to defeat him. Then V stepped in and forced Nero to flee the battleground while Dante, Lady and Trish are left behind. There are 3 main playable characters. The Legendary Demon Hunter Dante, the Devil Hunter Nero and V the Mysterious One. Each and every character has their own skill-set and fighting style. 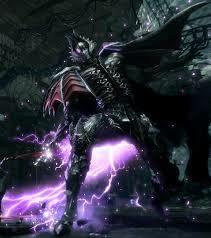 For instance, Dante uses his Sparda Sword for slicing enemies and Ebony & Ivory for ranged attacks. He also has some new weapon such as Cavaliere and Dr. Faust. Nero uses his sword Red Queen and his Devil Breaker like he used to slay demons with his Devil Bringer. Since it was ripped off by Vergil, he was forced to use Devil Breaker. There are various types of Devil Breaker with various abilities. The newly introduced V is a different type of character. 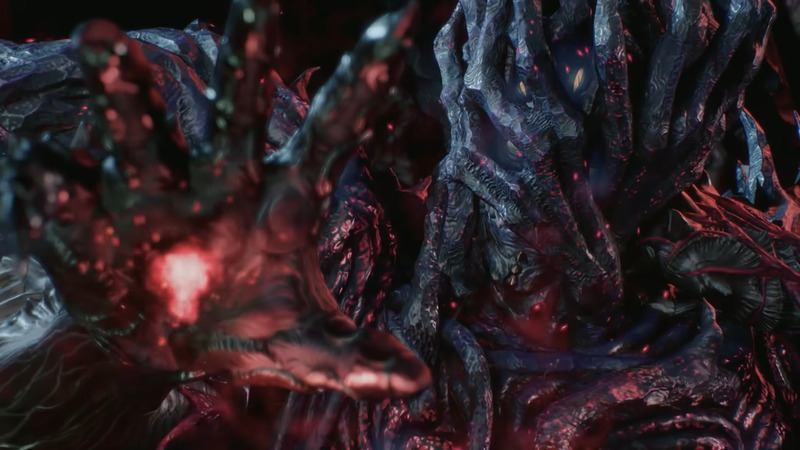 Unlike Dante and Nero, he's not strong and he doesn't have any demonic ability, but he does have the ability to summon demons to fight against his enemies. Another interesting character is Nicoletta Goldstein. She is a mechanic, but also a talented weapon maker. Formally she is known as Nico. She is Nero's assistant. She makes various Devil Breaker for him. Her grandmother was a legendary gunsmith who made Ebony & Ivory for Dante. Although I'm a bit disappointed about Lady and Trish since they are not playable characters. At least I was hoping for Vergil as a playable character. It'll be great if CAPCOM adds some DLC about Lady, Trish and Vergil to have their own storylines. The gameplay is fun as hell. Slashing enemies into mid-air, tearing their limbs apart from their body is very satisfying. The core gameplay is the same as before, except it's now improved a lot. Combat mechanism and animations are so smooth and realistic that you just can't stop yourself from killing these lifeless demons. It now features a 3rd person "On-Shoulder" camera perspective which is a great improvement. In the previous titles, there were fixed camera angles that change the camera view every time when the character moves into different areas. In certain areas, the camera just sticks to a certain point and rotates its view from that point to focus the character depending on the characters' locations. They have changed it and completely redesigned the camera view. Also, there's an online feature where you can see other players playing with a different character. You can even fight with a large number of enemies at the same time by helping each other. One more thing I forgot to mention that there is a brand new feature called "Photo Mode" where you can capture some of your favorite demon killing moments. Also, you can hover the camera from any position you want to. If you have played the game already, you might have used it by now. It's a really cool feature. Vergil: "How many times have we fought?" Dante: "Hard to say. It's the only memory I have of us since we were kids." The voice actors did an excellent job doing their voices. Devil May Cry franchise is always well known for its awesome Rock & Heavy Metal music tracks. The music tracks of Devil May Cry 5 are superb. Though there were some issues with Dante's battle theme at the beginning. The song was called "Subhuman". It was so poorly composed and people hated it so much that CAPCOM had to remove it from their official YouTube channel. But thanks to Michael Barr, he later re-dubbed the whole song and now it sounds awesome. There's a lot of amazing music in this game, but my personal favorite tracks are Cavaliere Angelo's battle theme "Voltaic Black Knight" and Vergil's battle theme "The Duel". Devil May Cry 5 is a masterclass. It brings back the one and only true DMC universe that we all used to know and love. The development of the storyline is not only great, but it's also the greatest of the whole series. The graphics are so realistic that at first glance, it looked like a live action film to me. Even people who never played the previous games before loved it very much. The game itself is so well polished that, it's hard to see any game-breaking bugs or glitches. I love this game from every perspective. As a true fan of the Devil May Cry series, I'm giving this game a solid 10/10. If you consider yourself a true fan, get Devil May Cry 5 today. It's a must play game of this year. The incredible amount of content that you can get from this piece of game, it's really worth every penny. You won't regret buying it. Thank you CAPCOM for making this year amazing. Looks very fun and has cool graphics im deffently gonna have to check that out soon!! Detailed and well done. You have my approval! Pretty nice work and interesting game. Definitely gonna check it out soon!